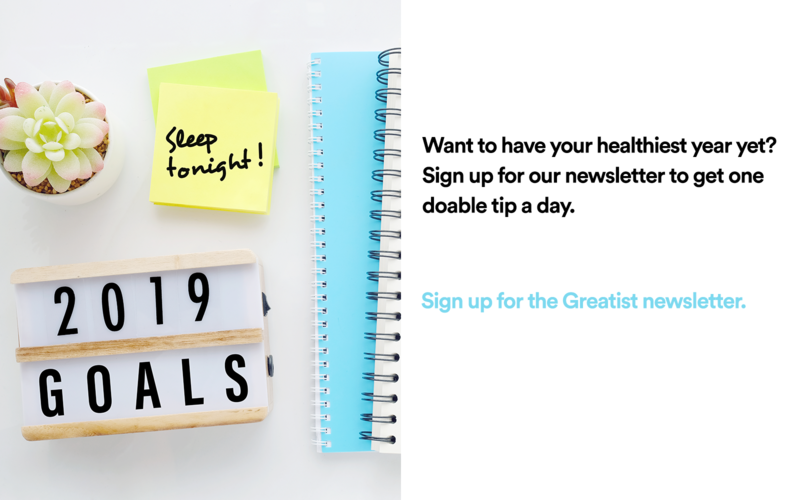 OK, we’re a little spoiled at Greatist with our healthy perks: gym memberships, flex hours, and a meditation/nap room—just to name a few (#humblebrag). Then there's our fully stocked kitchen, where we make our meals side-by-side. And while we love our takeout (oh hey, sweetgreen! 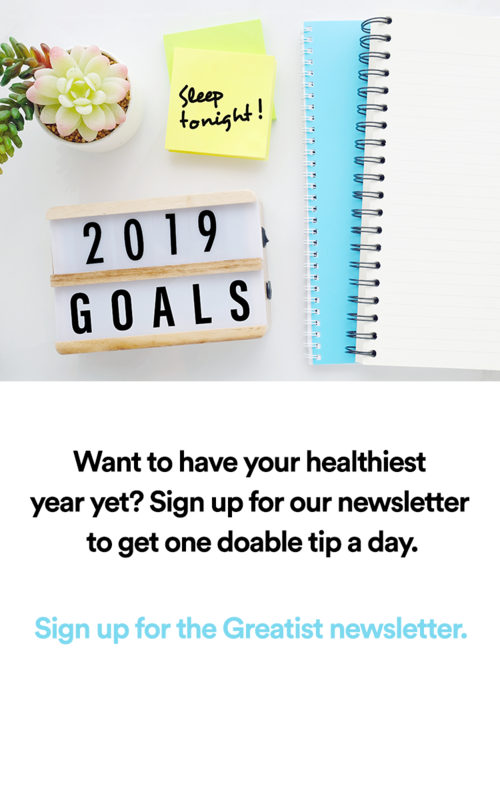 ), we’re bigger fans of creating nutritious masterpieces in-house—and are constantly struck by the healthy (and gorgeous) meals the team pulls together. Who needs Instagram for food inspiration when your coworkers bring their A game to lunch every day? What goes into a typical creation? “Vanilla Greek yogurt with fresh fruit (blueberries, strawberries, bananas, raspberries) and cinnamon. Sometimes I also add raisins and/or chia seeds.” Simple, fresh, and filling. “Few things make me happier than seeing the words ‘breakfast served all day’ on a menu,” Maria Hart says. “When I make my own lunch, I like to borrow from my morning rotation.” And that includes this Paleo pancake, made with one egg and one banana whirred together into a batter in the Vitamix. “When I cook it on the stovetop, it makes the whole kitchen smell like banana bread,” she says. “I don’t follow a Paleo diet, but I try to keep my food minimally processed.” And the toppings, with berries and Greek yogurt, add a little boost of antioxidants and protein. Amanda Delaney calls this a “classic sandwich,” but what sandwich comes with its own dipping sauce? “I love condiments, so I always want to dip my sandwich in something.” Here, she uses a homemade Greek yogurt and sriracha dip, whole-wheat toast, lean turkey, and avocado for plenty of nutritional benefits. “It has a mix of good fats, some veggies, protein, and happiness from the mayo,” she says.